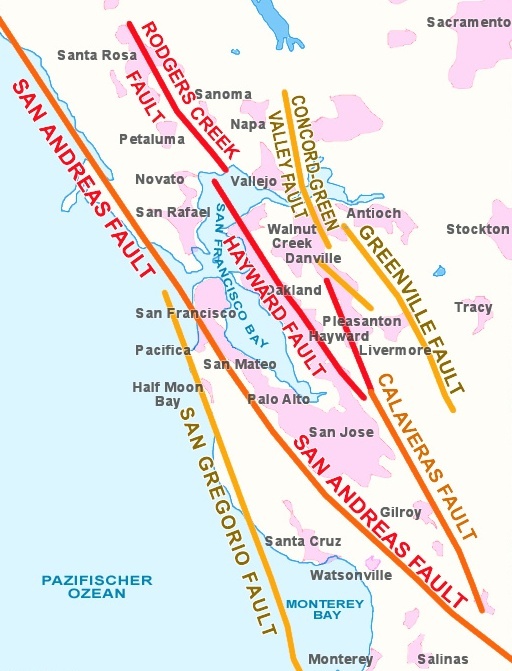 The Clayton-Marsh Creek- Greenville Fault system is located in the eastern San Francisco Bay Area. They are active dextral strike-slip faults located in the Diablo Mountain Range in Alameda and Contra Costa Counties. The most recent significant ruptures along the Clayton-March-Greenville system occurred in 1980 (M-5.8), known as the Livermore earthquake.